Cold Chisel are unquestionably one of the most loved and respected bands in Australian history. They produced some of the greatest and most well-known Australian anthems, and they performed with a truly unique sound and an unparalleled energy. 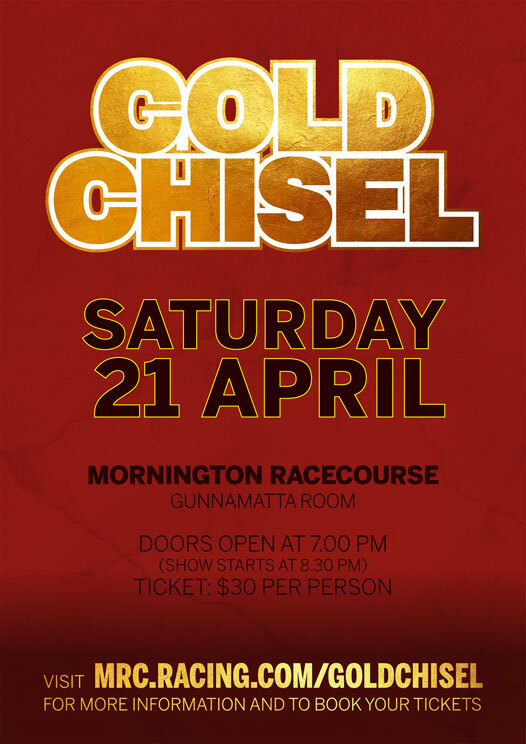 In the true spirit of these Oz music legends, Mornington Racecourse presents Australia’s leading Cold Chisel tribute show, Gold Chisel on Saturday April 21. To play a tribute show to this legendary band would require far more than just a bunch of guys playing these well-loved songs. It would require a group of fine musicians that could recapture the sound, the energy and the anthems with great authenticity, which is precisely what Gold Chisel has done for almost two decades. Gold Chisel features lead singer Andy Lutze along with some of Australia’s finest touring musicians, reproducing what has been described as the closest thing to the real deal that one could possibly imagine. Not only do Gold Chisel recapture the true sound and spirit of Cold Chisel, but they also recreate the energy and excitement that made Cold Chisel one of the biggest draw cards in the history of the Australian live music scene. Established in 2000, Gold Chisel has toured to almost every part of this great country and still continues to do so. 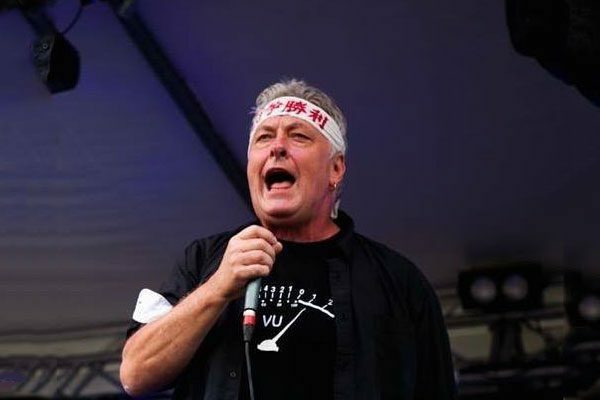 They have played to many capacity crowds and have pleased even the most critical of Cold Chisel fans, including friends and family members of Cold Chisel themselves. 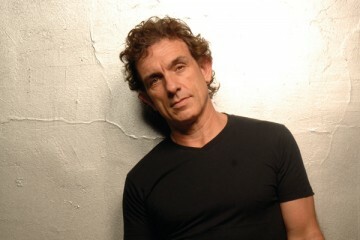 Critics have praised Gold Chisel for being able to replicate the sound to the point where if you had your eyes closed you would think you were actually listening to Cold Chisel. Gold Chisel has earned its reputation as Australia’s No. 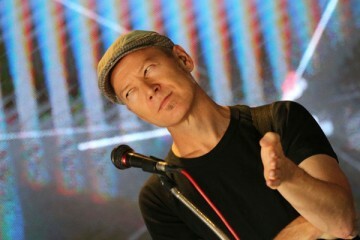 1 Cold Chisel tribute show and needs to be experienced to be believed. Don’t miss this exciting Oz Rock super-show on Saturday April 21 in the Gunnamatta Room at Mornington Racecourse. Pub style meals are available on the night with doors opening at 7.00pm for an 8.30pm show. Tickets are on sale now from the venue or visit mrc.racing.com/goldchisel.